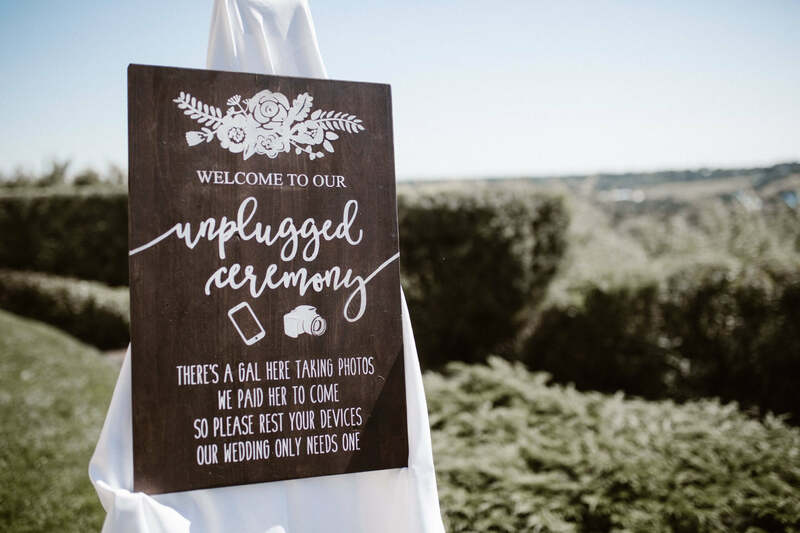 You might be considering an unplugged wedding where your guests are asked to put away their cell phones, tablets and cameras. If you ask any photographer what they prefer, they’ll always say “yes” to an unplugged wedding for a number of reasons. It really depends on what you want most and what you find important, maybe you don’t mind if guests snap away. Here are some things to consider if an unplugged wedding is on your mind. It’s not very often you’ll have the opportunity to share such a significant life moment with your family and friends. Wouldn’t having their undivided attention be amazing? You will have certain moments that are must-have shots, without question! 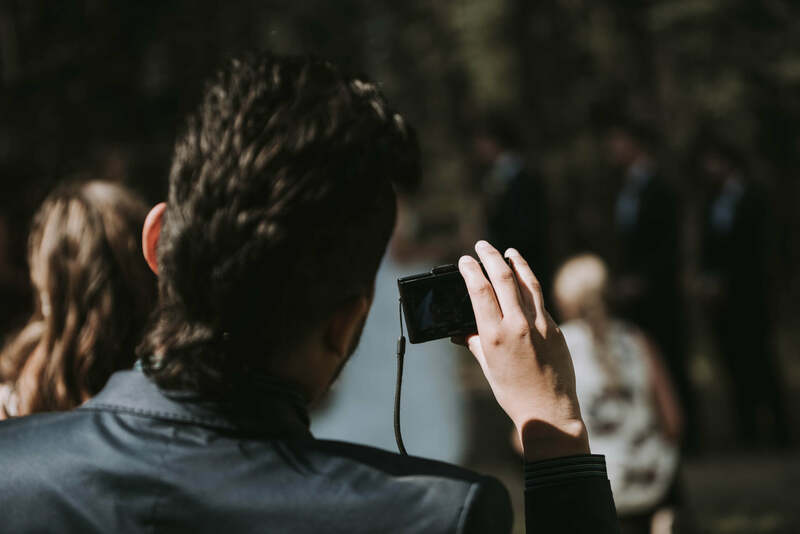 The list is endless and your wedding photographer should know exactly which moments those are. Guess what? So do your wedding guests! 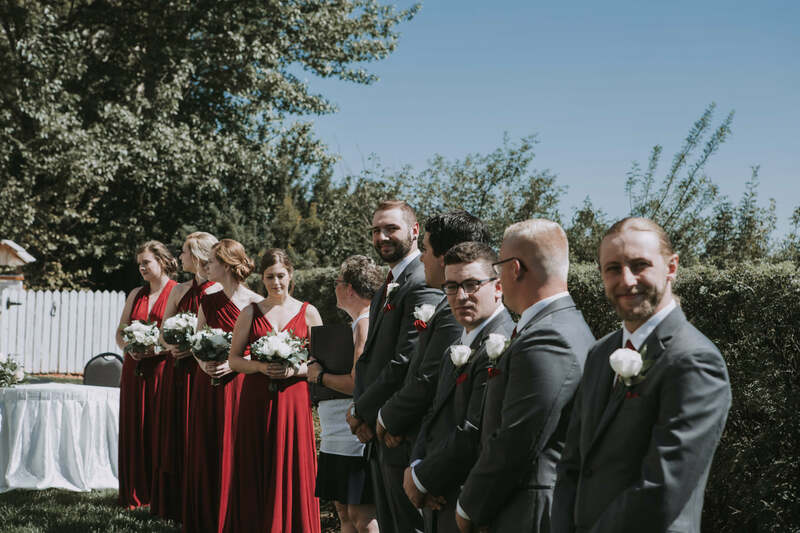 The moments where you are walking down the aisle to meet your husband-to-be for the first time, the emotion in his face when he first sees you, when you are given away and let’s not forget the kiss! Could you imagine finally getting your wedding images to see that all those moments were blocked by a wedding guest? It’s happened many times and it’s one of the most dreadful moments for a wedding photographer. That moment is gone! So is the opportunity to have captured it! No One Steals Your Thunder! 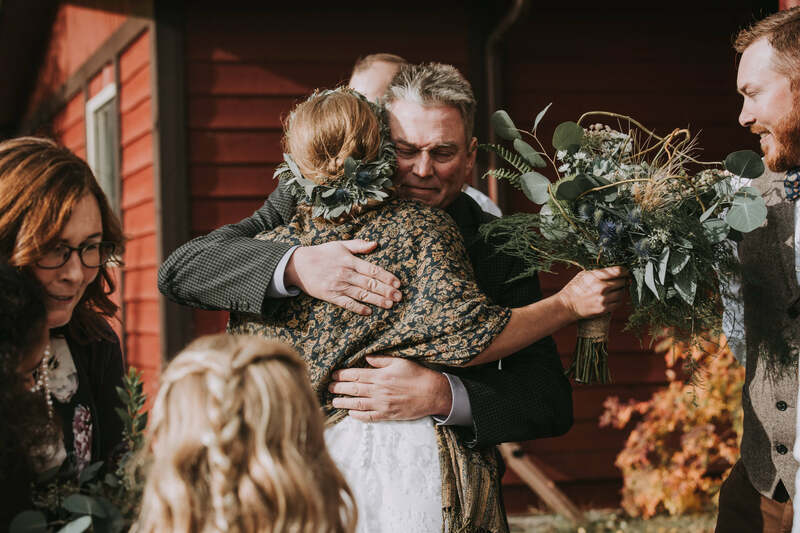 It’s very possible that even before you’ve shared vows and have been announced as a married couple for the first time, an image of the two you at the alter is already floating around on Facebook or Instagram. You would hope that there’s a social courtesy but that’s not always the case. Sometimes your guests are just as excited as you are and want to shout it out to the world. Sometimes they go ahead and share it so an absent guest can see it too. It might not be a bad thing, maybe you don’t mind at all. But if you’re the kind of person who wants to be the first one to say “HEY! WE DID IT! WE’RE MARRIED”, an unplugged wedding might be what you prefer. I’ll do my best not to get too technical on you for this one! If you’re guests are snapping images and have their flash set to go off, it will interfere with your photographer’s images and render them unusable. Camera’s are made to read light and are light sensitive. If the lighting in the scene changes at the same time your photographer is capturing moments, your images will result in being overexposed and blown out! What does that mean? It means that all the detail, all the shadows and all the colour will be completely obliterated. It will looked washed out and unprofessional. It’s very hard to salvage an image without detail, very hard! As a photographer, we often get rid of those completely. Second, your photographer may be using off camera lighting such as small mobile flashes or full strobe lighting. Those lights are synced to the photographer’s camera but are able to be set off by any flash. Having said that, the result is the same as before. Your images will be unusable by being too bright or too dark depending on how the camera read the light. The photographer’s lights are no longer synced to the photographer’s camera. The mobile flashes or strobe lights are just blasting off light randomly. Third, if someone else’s flash goes off, it will cast undesirable shadows around you. Think of Peter Pan playing with his shadow. You’ll have the exact same thing following you around in your images. The photographer your paying may be able to make some of them work but it’s unlikely. Your images will have gone from professional to unprofessional. I’ll leave it there, I’ll avoid boring you with all the technicalities. 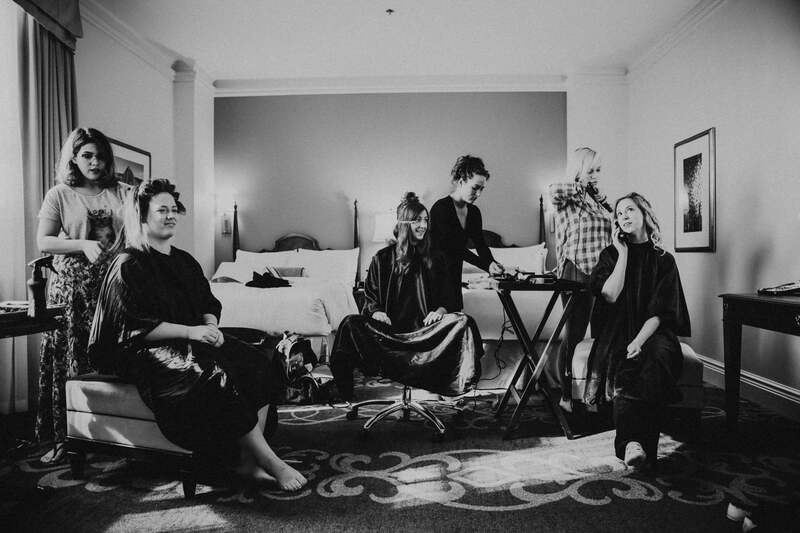 Still Unsure About an Unplugged Wedding? Good news! There is a middle ground! It doesn’t have to be all or nothing. Some couples decide to have an unplugged wedding ceremony only, leaving the rest of the day for the guests to snap images also. After all, everyone is at their best and they want memories too! A great way for couples to have access to images taken by guests is to use a wedding photo app such as www.wedpics.com. You can invite your guests to take images through the app, giving you full access to the image gallery and prints afterwards. It’s a win-win!